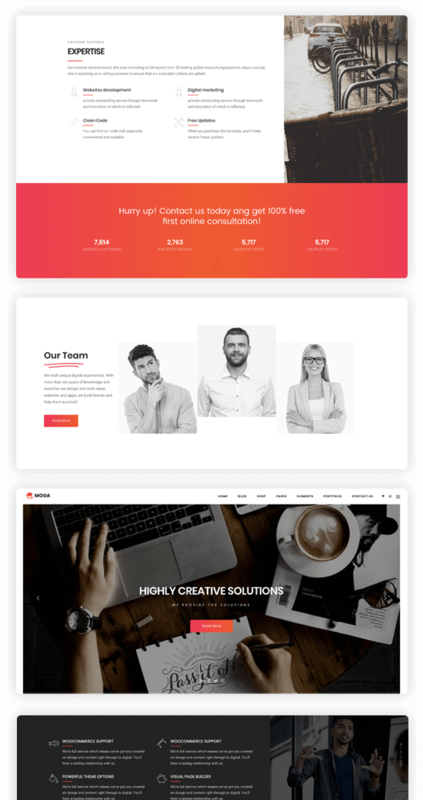 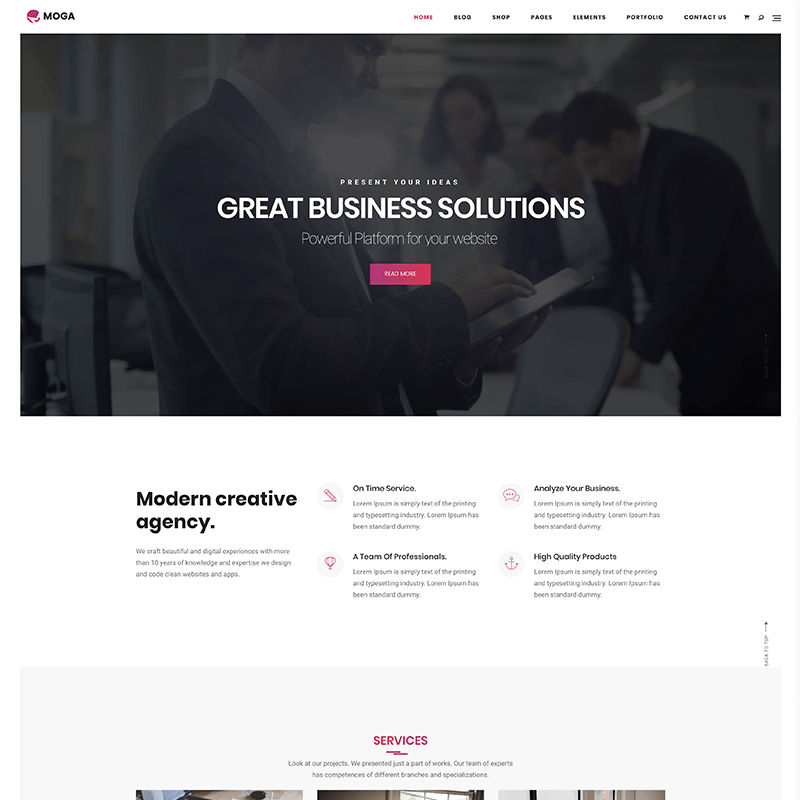 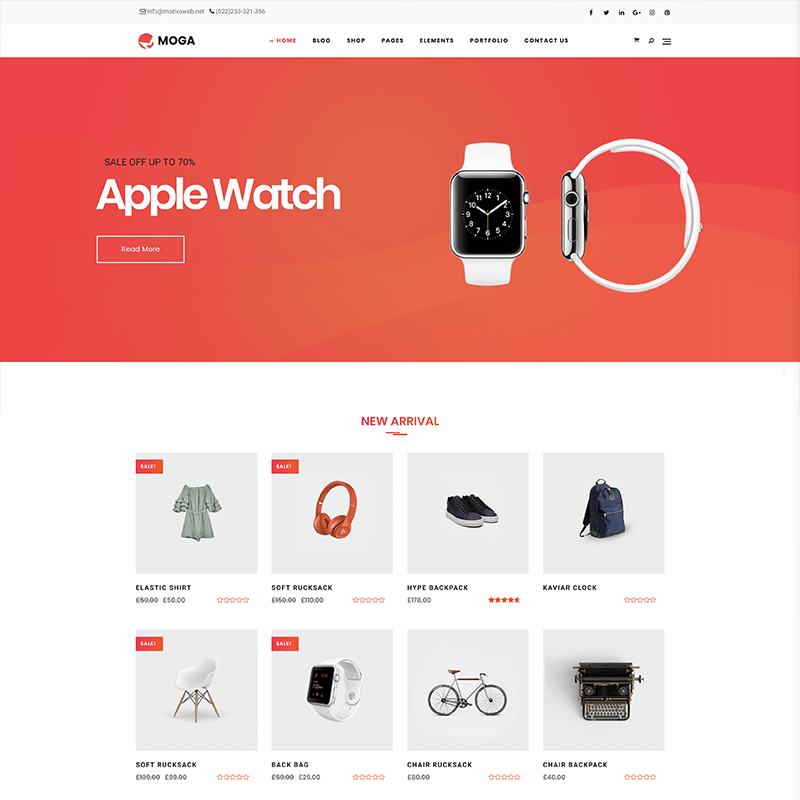 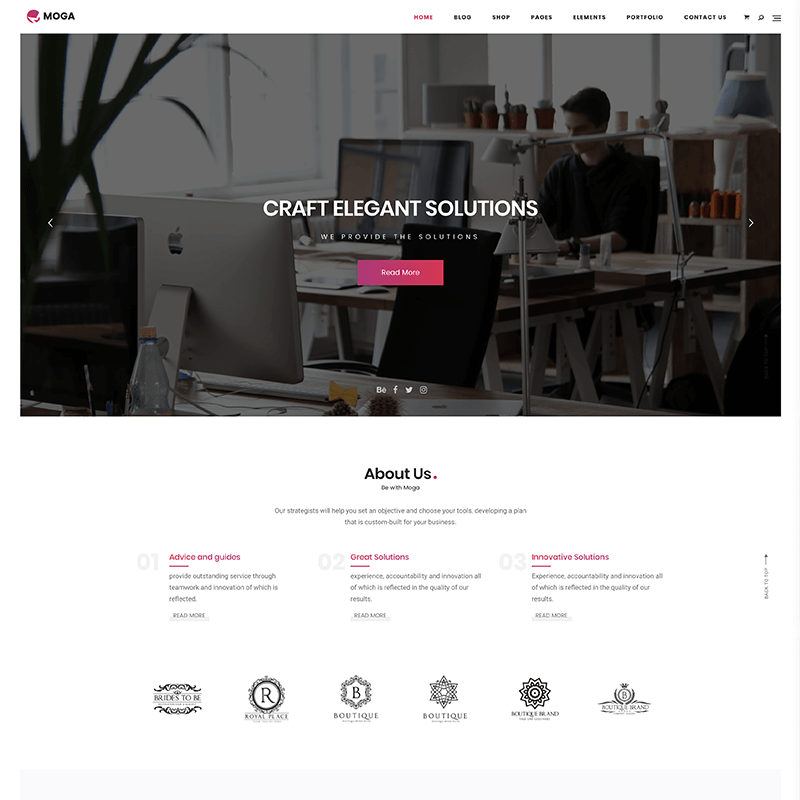 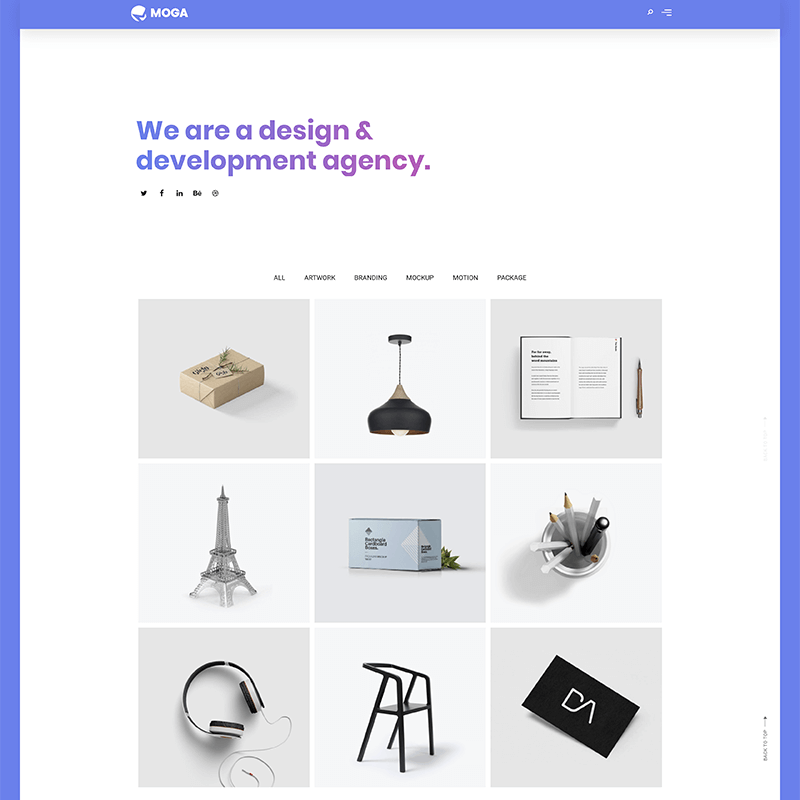 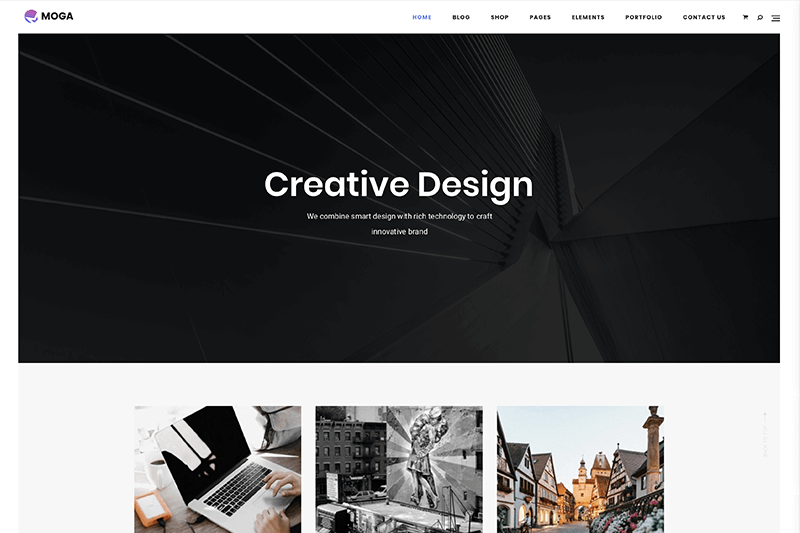 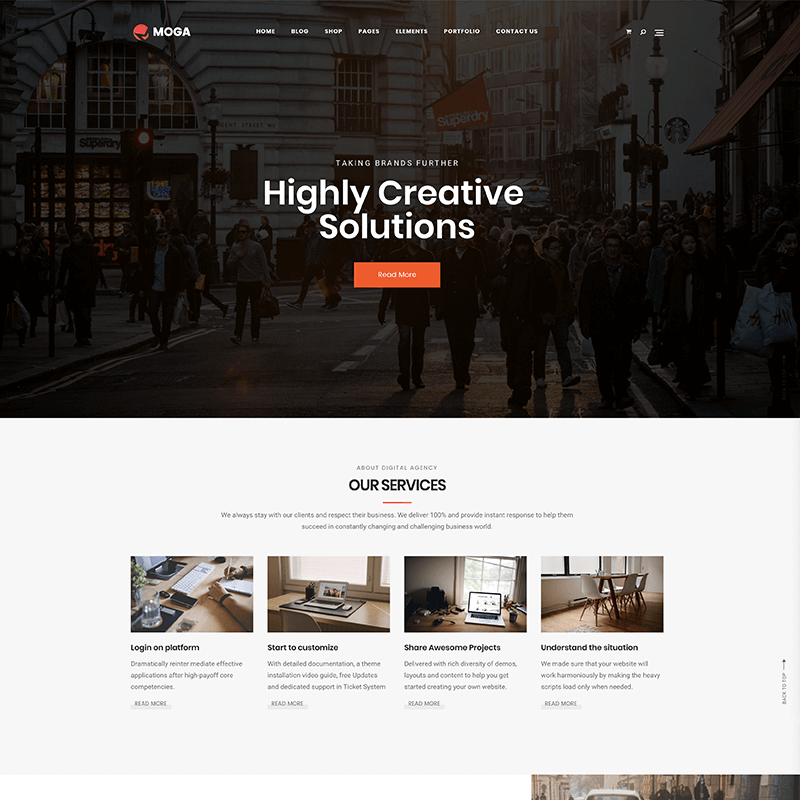 Moga is a creative professional multi-purpose WordPress Theme pixel-perfectly designed to make awesome website for any business. 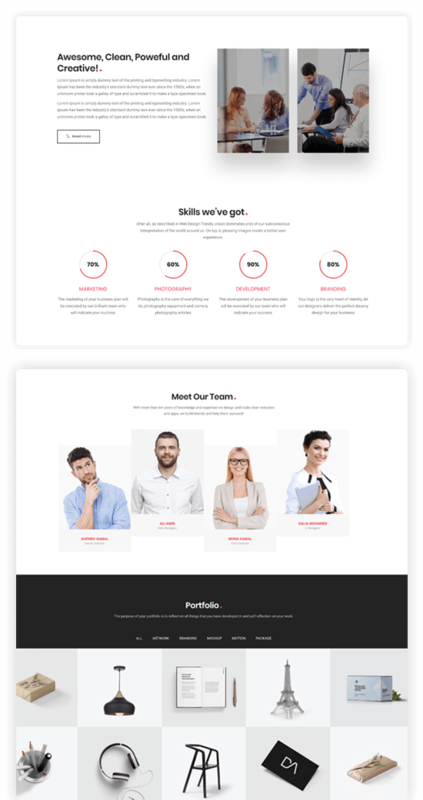 Avenue provides a large collection of pre-designed pages, carefully crafted elements, and easily customizable templates. 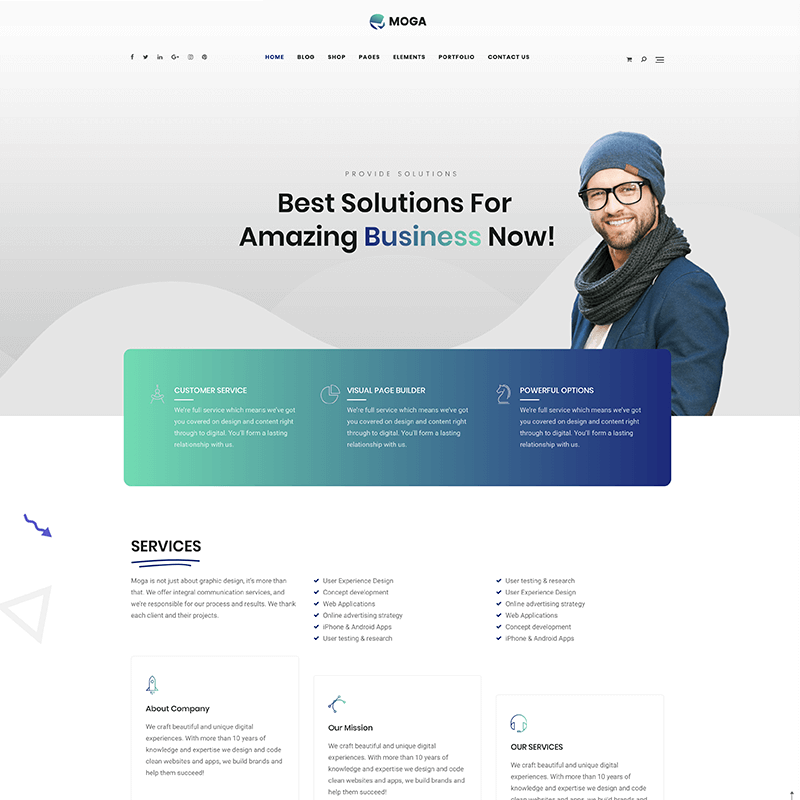 Moga is a creative professional multi-purpose WordPress Theme pixel-perfectly designed to make awesome website for any business. 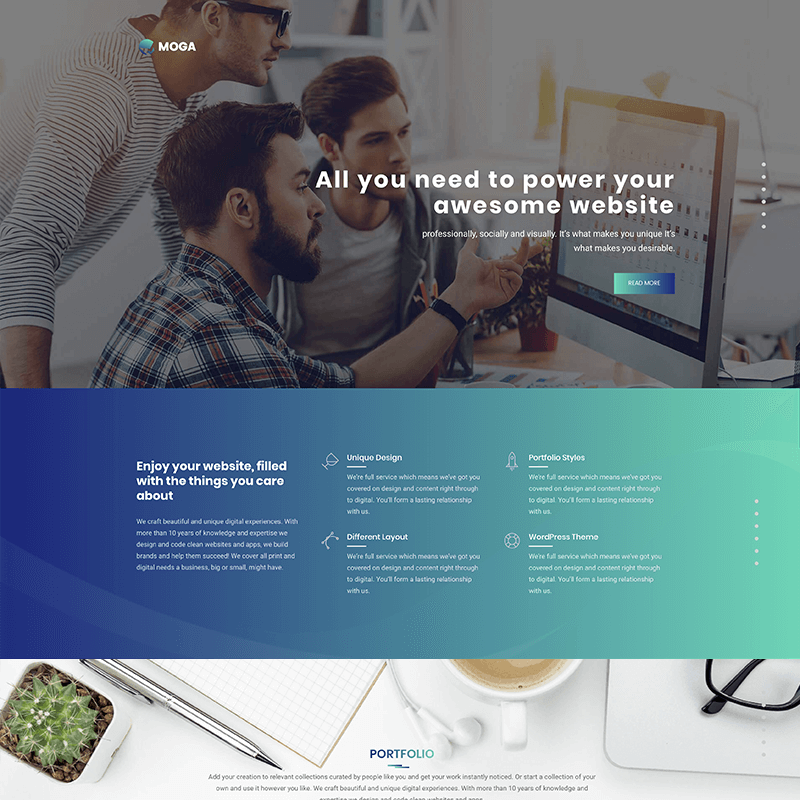 Theme provides a collection of pre-designed pages, carefully crafted elements and easily customizable templates. 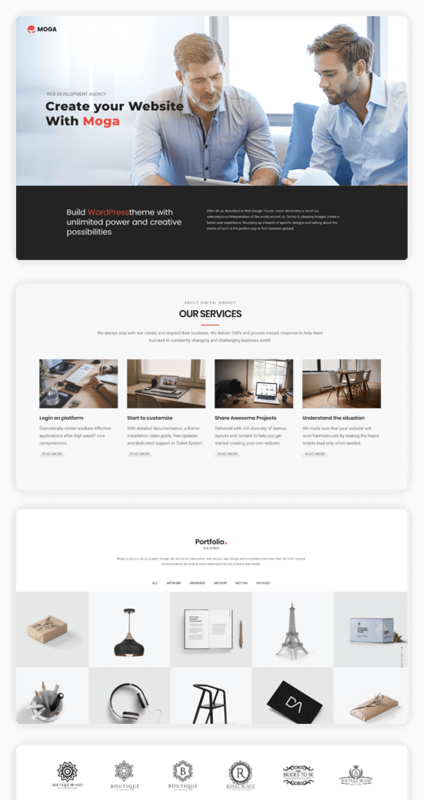 A complete & robust set of starter demos to get your site up and running quickly. 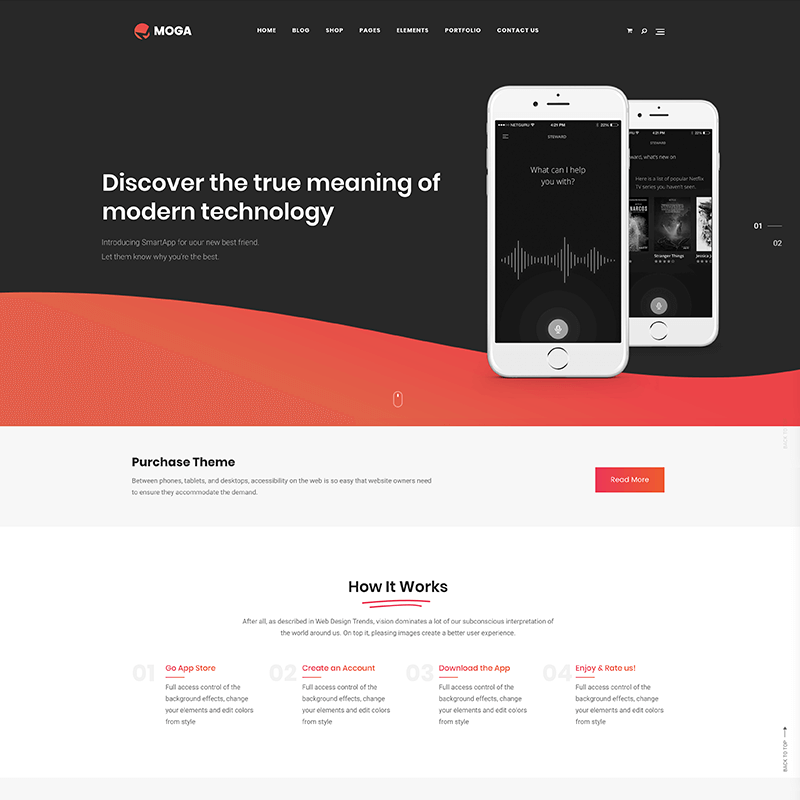 Moga has a one-click theme demo importer to help you take your project from zero to hero in seconds. 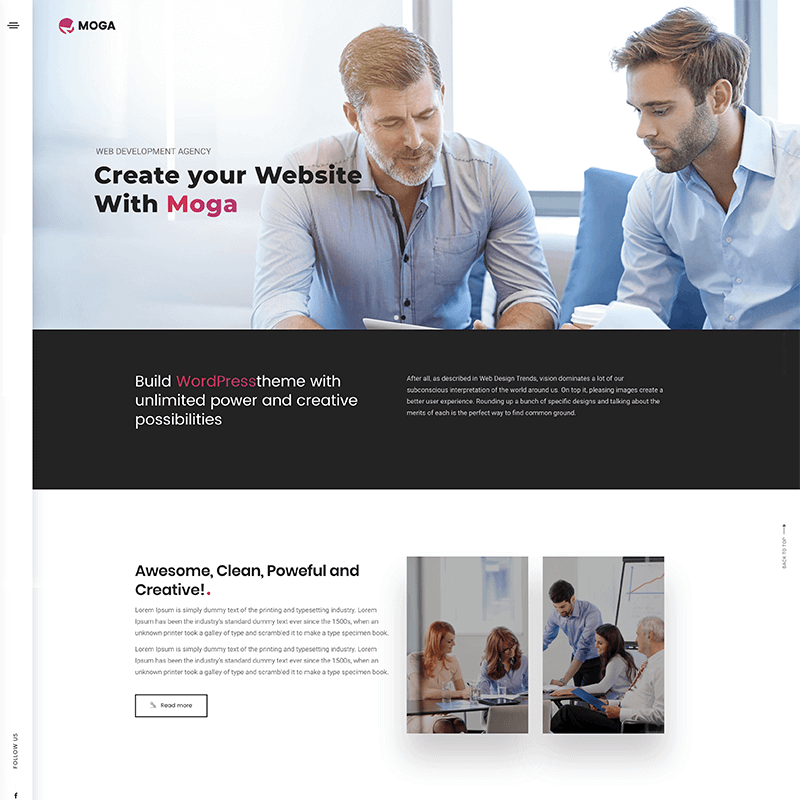 The optimized Visual Composer builder has a restyled back-end interface that puts all of the custom Moga modules. 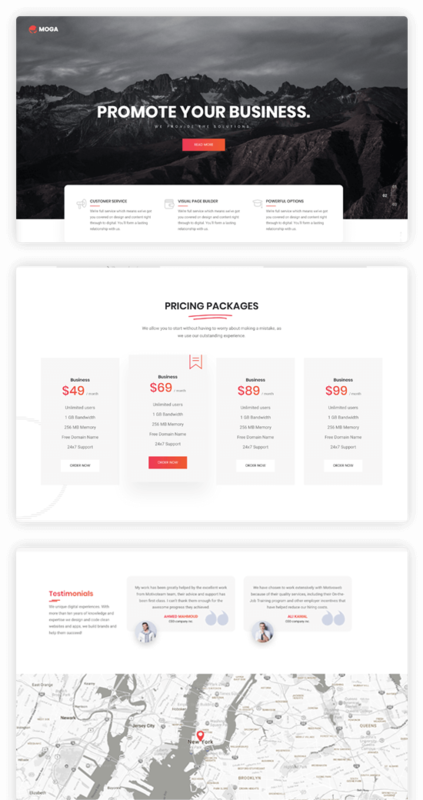 With the moga Demo Importer you can install your chosen demo, and all required plugins, with just one click. 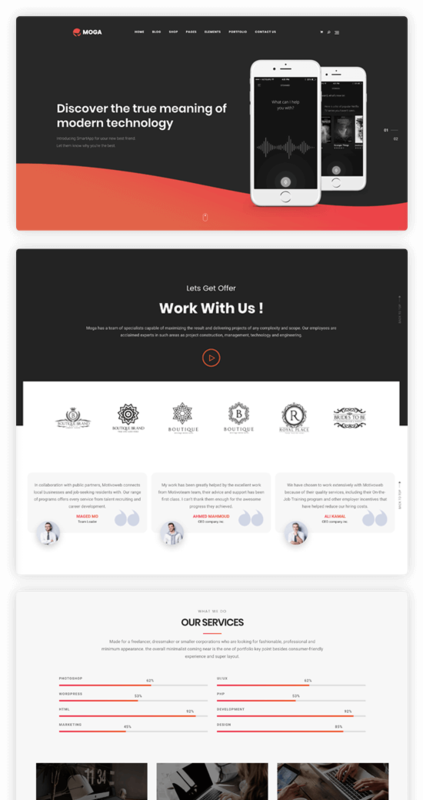 It couldn’t be simpler! 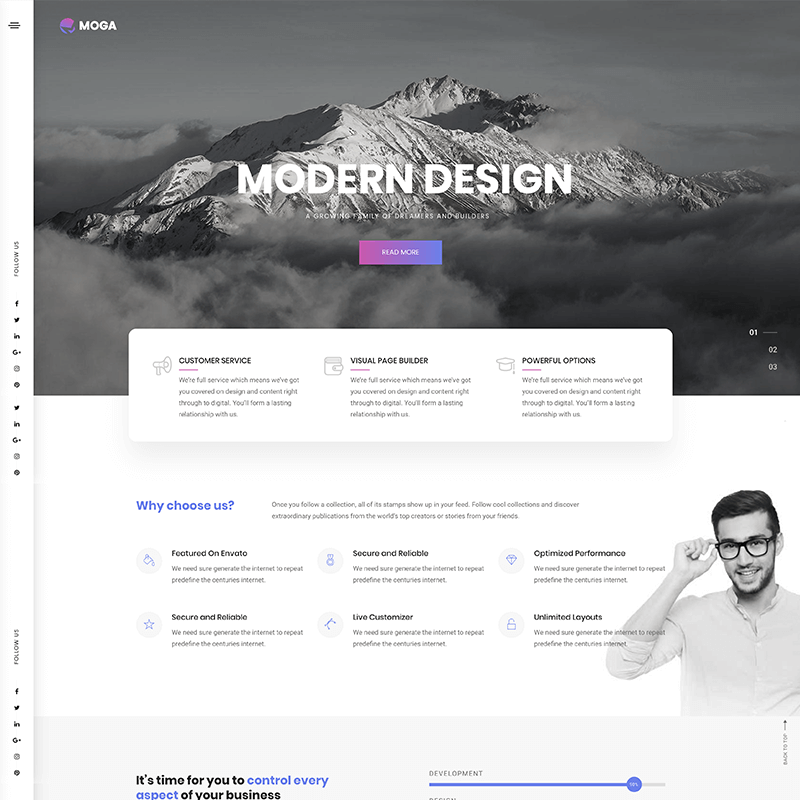 Use the Moga Theme Options global settings to change and customize all areas of your site, without touching the code. 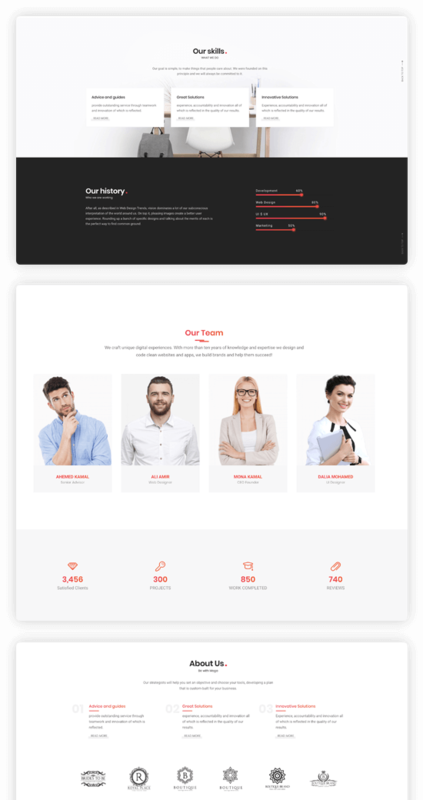 Our exceptional support team is always on hand and ready to help. 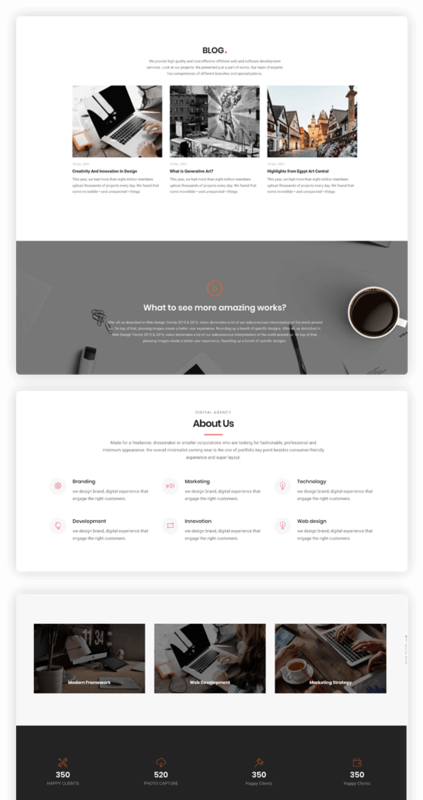 Check out our detailed online documentation to find out more about what you can do with Moga. 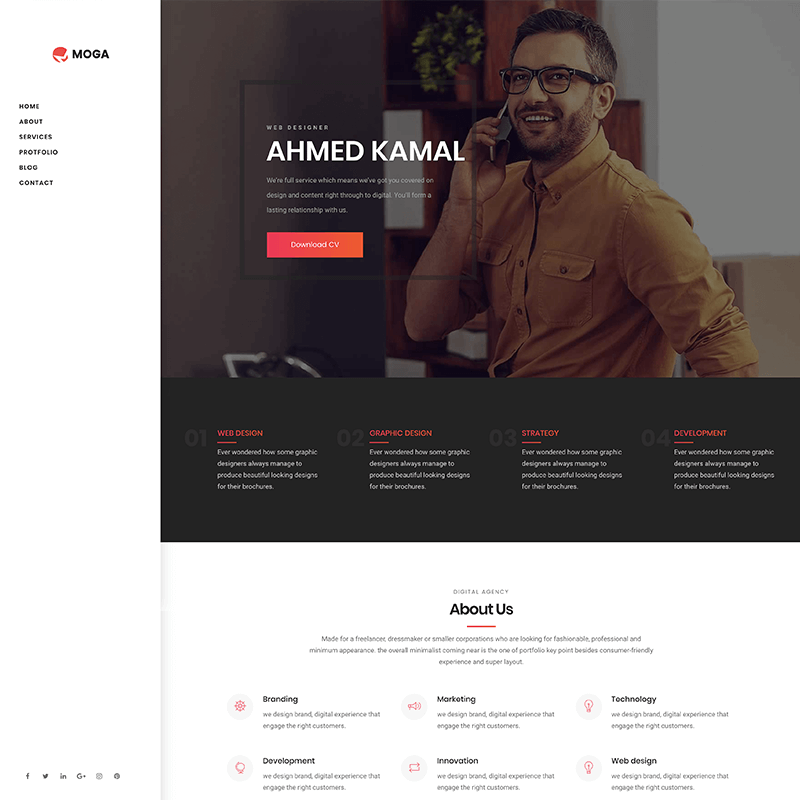 Moga has been optimized for speed, with perfect page loading on GTMetrix, Google PageSpeed and Pingdom. 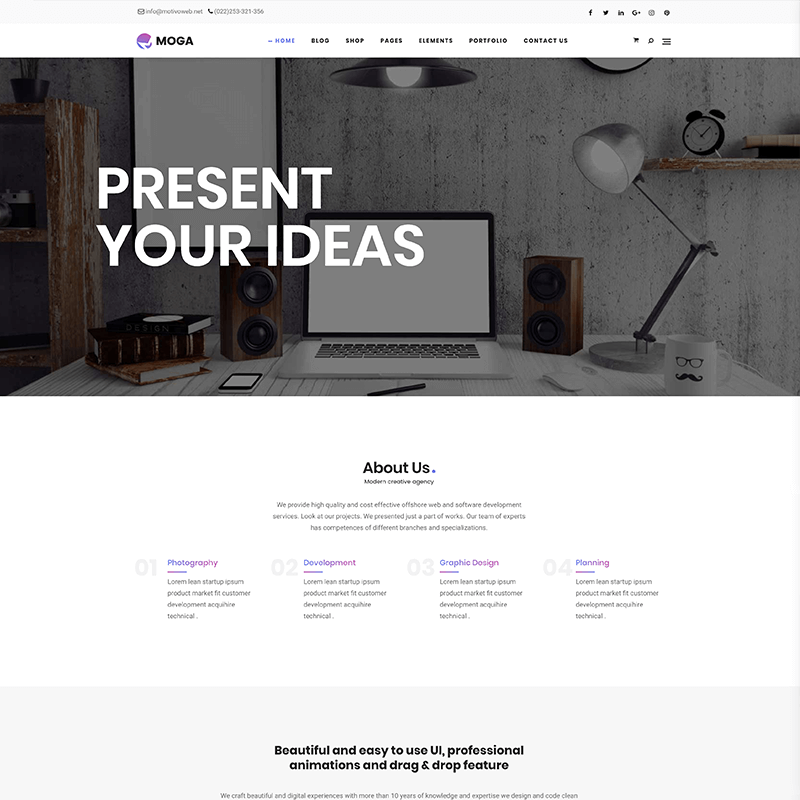 Moga’s global Theme Options allow you to change the color scheme of any demo to suit your brand identity. 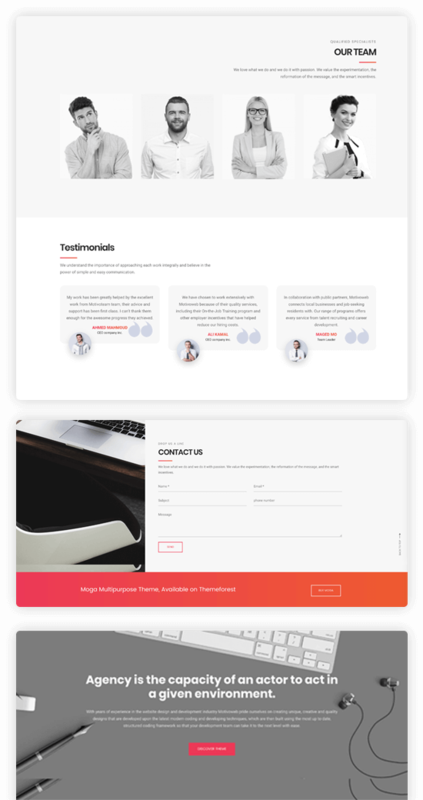 Pearl is 100% WPML compatible, so you can use the WPML plugin to translate your website into any language (WPML license not included). 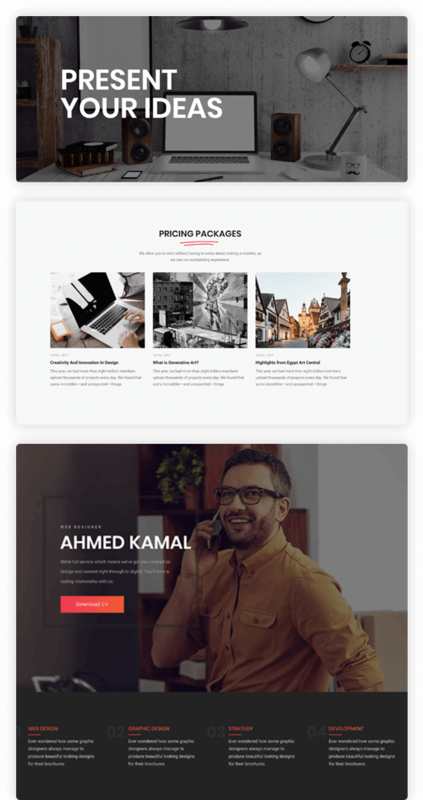 A one-time purchase gives you access to a lifetime of theme updates, with new demos and great features being added all the time! 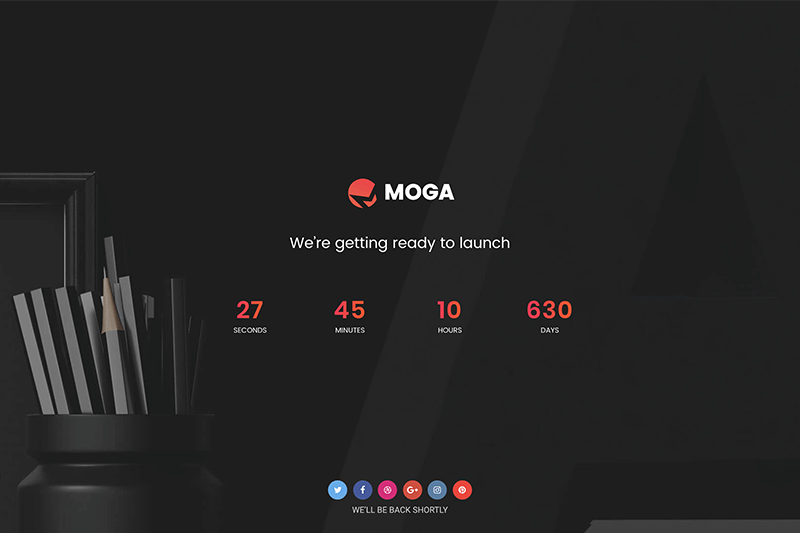 Get Moga with best-selling premium plugins for $29 only!